1600 N. Oak St #828 is one of the largest 1 bedrooms in Rosslyns highly sought after Belvedere Condominium. This spacious corner unit home has approx. approx. 1052 sq ft, 1 balcony and 1 sunroom, the larger of which would be perfectly suited as a home office or den. Updated eat-in kitchen with freshly painted white cabinets, black galaxy granite countertops and newer appliances. 2 large pantries in kitchen provide plenty of storage space. Stay organized with 2 large walk-in closets and linen closet in master suite. Master bath features newer vanity with marble countertop, undermount sink, lighting and tile surround in shower. Washer and dryer in condo. HVAC replaced in 2018. Spacious parking space on level G2 in underground garage. Additional storage space on first floor. Full time front desk service and security. Perfectly situated in Rosslyn, The Belvedere is close to Metro, shopping, dining and entertainment. Residents also enjoy the outdoor pool, tennis courts, fitness center, saunas, party room, library, car wash bays and much more! 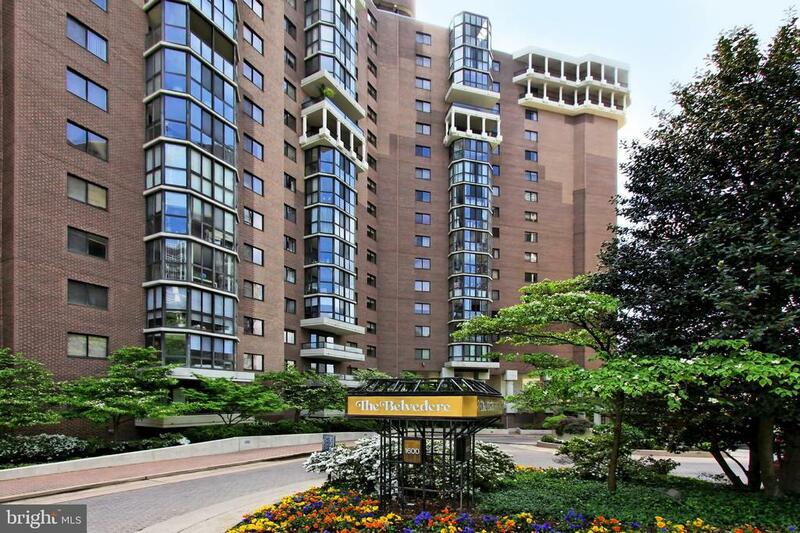 Green Remarks: The Belvedere is a dynamic condominium with an incredible location in a pleasant full service building. The Belvedere has 525 homes, Amenities include full desk service, outdoor pool, indoor finess and spa, two outdoor tennis courts, 2 car wash bays and well equipped party room. The spacious end unit 1BR 1BA has balcony, terraced sunroom, renovated bath, walkin closet, eatin kitchen and 2 pantries. Selling Agent: Timothy M Hursen Sr.